I think the one thing that gets to me more than any other when it comes to Succubi appearing in stories is the number of times they are said to be vampires. Now, they aren’t and I’m not going to get into a long discussion over this point here, but it is, for me, the one thing that can turn me off when it comes to a story. There is one small caveat to this however. I’ll accept this in the rare occasion that the story is very, very good, that the explanation of why the Succubi is a vampire makes some sense, and there is something that I like about it. That really doesn’t happen very often, but I give many works the chance to impress me. One came very close. Supernatural creatures have roamed the Earth since the beginning of time. There was a time when humans would not tolerate having vampires and other creatures in their midst, stealing their young and killing their fellow human beings. These humans took care of business with pitchforks, sharpened stakes, and fires. As the centuries passed, the supernatural creatures learned that they needed to hide in order to survive. As they did, humans evolved, and after a few decades, humans no longer believed the tales from mythology and folklore. Then the creatures became more bold again, showing themselves when they should have stayed hidden. In 1945, the assistant director of the FBI suffered a horrible tragedy, which he learned later was supernaturally related. He created a small branch of the Department of Justice called the Bureau of Supernatural Investigation – the BSI. Little did he know that there were already men and women policing the world of the supernatural – or the “Fae.” The only difference was that this other group had a huge advantage over the humans running the BSI; they were also immortal, just like the creatures they policed. Should the BSI and the Immortals work together to keep the peace? Follow agents and Immortals from the four supernaturally busiest places in the country – San Francisco, Chicago, New Orleans, and Washington D.C. and watch the BSI evolve. Vampires, shapeshifters, succubae, and Immortals. 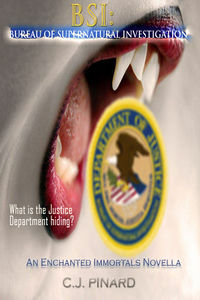 What is the Justice Department hiding? The work has a really interesting premise, one that creates a world very close to the real one, but with little differences. It tells a story through time, through various characters and I found myself wondering about how they all connected as the work continued. Each of the eras, from the 1940s through the 1980s have the right feel, the right voice to the characters and the overall settings work very well. It’s rather cute to see how some of the older, more immortal, beings still have pieces of their past in their dialogue, and how those around them tease about it. The focus is on the “undercover” investigations, what is found out about the supernaturals over time and what that means to each of the people involved. The main focus is on vampires and shifters, with a little side note about other beings, but that is only said in passing. As such there isn’t very much about Succubi in this work, though in the last era told they do have a main role in what happens. Quinn is the only Succubus seen in this work, and as a whole she acts very much like a Succubus would be expected to. She seduces, entraps, and then feeds on those she has ensnared. The problem comes with what happens after she does so. It is said that she feeds on the souls of others, not their blood, so she isn’t quite a vampire in that respect. But in the aftermath of her feeding she turns the others into vampires, quite brutal ones at that. As a whole, I like Quinn’s personality, how she seduces and, at least to a point, mind controls others as well. But it’s the transformation part that bothers me a lot. Mixing up Succubi and vampires just doesn’t work for me and that point really muted my enjoyment of the work. More than I think it should have, but really it just… Let me put it this way, enthralling is very hot. Turning them into wild blood craving beings isn’t. That said, the work is very well written, I loved the characters and it is a real page turner. The world is well conceived, told and presented in a way where it isn’t an information dump as well. The inner workings of the investigators, their relationships and secrets all twist things into something that’s a fun read with a touch of mystery within it. Quinn was interesting, what little was seen of her and at least she acted like a Succubus and not so much a vampire. 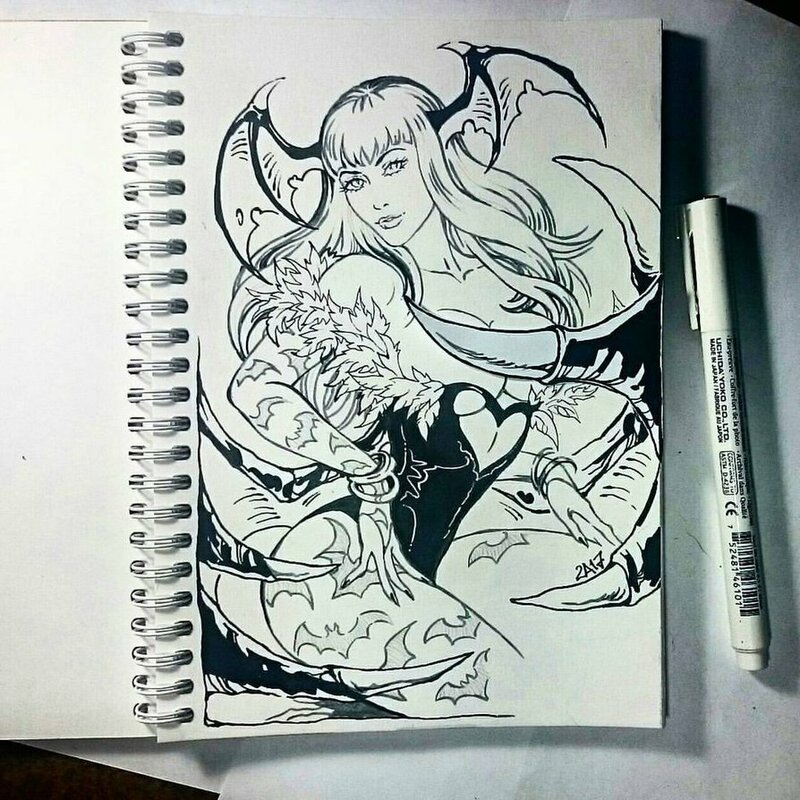 It would have been nice to see her be a Succubus. Beyond that the story was very good, the characters compelling and the lives told came together in unexpected ways. More pleased than I thought I would be, but my personal bias still gets in the way. If succubi turn people into vampires, where would more succubi come from? The vampires would simply take over and, if they require succubi, which would not be replenished, to build their ranks, they, too, would eventually die out. There, I think, based on Your Majesty’s description, is the flaw in this reality.